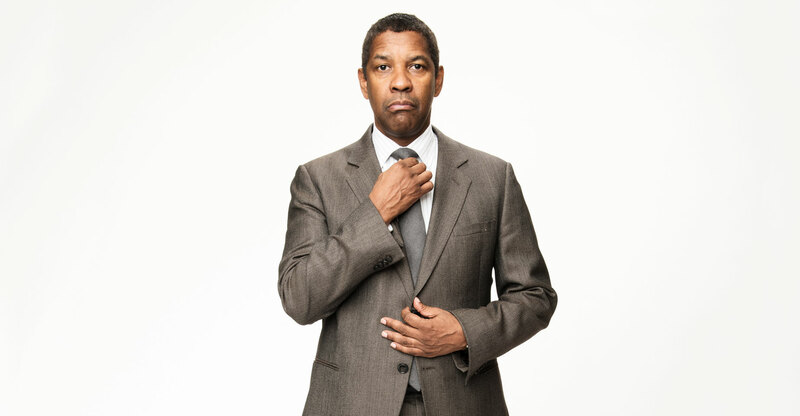 Name: Denzel Hayes Washington, Jr.
Mr. Washington, do you enjoy playing the bad guy? As an actor in the theater you’re taught that you never play a bad guy. You have to love who you are. You can’t say, “Oh, I’m a bad guy.” How do you play that? Does it ever affect you personally when you explore a dark character? No, for me it’s still a testament, it’s still a spiritual journey. I believe in God. I don’t fear man, I fear God. I’m not talking about religion; I’m talking about spirituality. It’s good to see you jovial since we rarely see you like this on screen. Well, you certainly don’t do a lot of comedies. It’s just the nature of this business. First I was Biography Man. (Laughs) “Steve Biko? Get Biography Man! Malcolm X? Biography Man! Remember the Titans? Biography Man! Hurricane? Get Biography Man!” Then all of a sudden somebody slipped up and sent them Training Day. “Bad Guy Man! Get Bad Guy Man!” I think that’s just the nature of the business. Do you often have to turn down roles because they typecast you? Absolutely. My career is based on saying no. Sidney Poitier told me many, many years ago that the first four or five movies that you do will determine how you’re perceived in the business. So I was very blessed that the second movie I did was with Norman Jewison, the third movie I did was with Sidney Lumet, and the fourth movie I did was Cry Freedom with Richard Attenborough, for which I was nominated for the first time. I was off to the races. There were other movies that I could have done and I didn’t do. It’s very unfortunate in this accelerated society and business that a lot of young kids don’t get a chance to develop. They have the look or whatever and they’re 20 years old and boom, they’re big stars and they never really learned how to act. The actors I respect are all from the theater. Viola Davis, Meryl Streep, they’re both from the theater, you know? You also trained in the theater before you made it as a big Hollywood star, right? Well, I’m not a big Hollywood star. I’m an actor. I’m called a star. That’s not what I am. First of all I’m a human being; my profession is acting. People give you titles. They say you’re an up and coming star, then they say you’re a star, then they say you’re a washed-up star. (Laughs) So I don’t get caught up in what I’m called. My job, my profession, is acting. I’m a trained actor. What I’m called is whatever someone says and that’s fine, but I don’t walk around like, “Hey! I’m a movie star. Excuse me, can you get my car for me?” I’m just an entertainer. Do you think the studio system gives black actors enough chances to play leading roles? Well, I don’t even know what the “studio system” is, first of all. I don’t think there is a system. It’s a bunch of people scrambling trying to get rich. That’s all it is. There’s no committee that sits around and goes, “This is the system.” It’s like, “Hey, if Joe Black suddenly makes us 100 million, find me 10 more Joe Blacks.” I think that’s the nature of the business. I think that the business is toughest on women, white or black. You hit 40 and they get rid of you. But the guy can be 70 years old and somehow he still gets the 25 year old girl! I think that there’s definitely room for improvement on the administrative side – there hasn’t been a black studio head. But it’s not the studio’s job to care about you. People tell stories that they know. I don’t think that you could make a story about an inner city African-American in Philadelphia. I don’t think so. I don’t think I could make a film about what it is to be 16 and growing up in Berlin because I don’t know it. You write about what you know. And there are economic ceilings. A movie about a 16-year-old kid from Berlin, they may not spend 100 million dollars to make that movie in Hollywood. Does that mean they’re prejudiced against 16-year-old kids from Berlin? True. Often people try and read too much into these things. Someone asked me, “Oh, do you think it’s racism that you didn’t win the Oscar for Malcolm X?” I said, “Well, I voted for Al Pacino. He was nominated 8 times and hadn’t won. I was nominated 3 times and I had already won.” Do you think they’re prejudiced against Italian-Americans? For whatever reason he hadn’t won, but then he did. Are there prejudices? Yeah. On both sides; on all sides. That’s human nature. Is that the only reason? No, I don’t believe that. I’m living proof that it’s not true.